I am creative but not in a crafty sense (or at least I don’t feel as If I am). So the “something you made” threw me off a little, other than dinner yesterday. 🙂 Then I remembered I had make some bracelets with my MOM’s group a few years back. Each from a different year and theme. Yes, I still wear them. 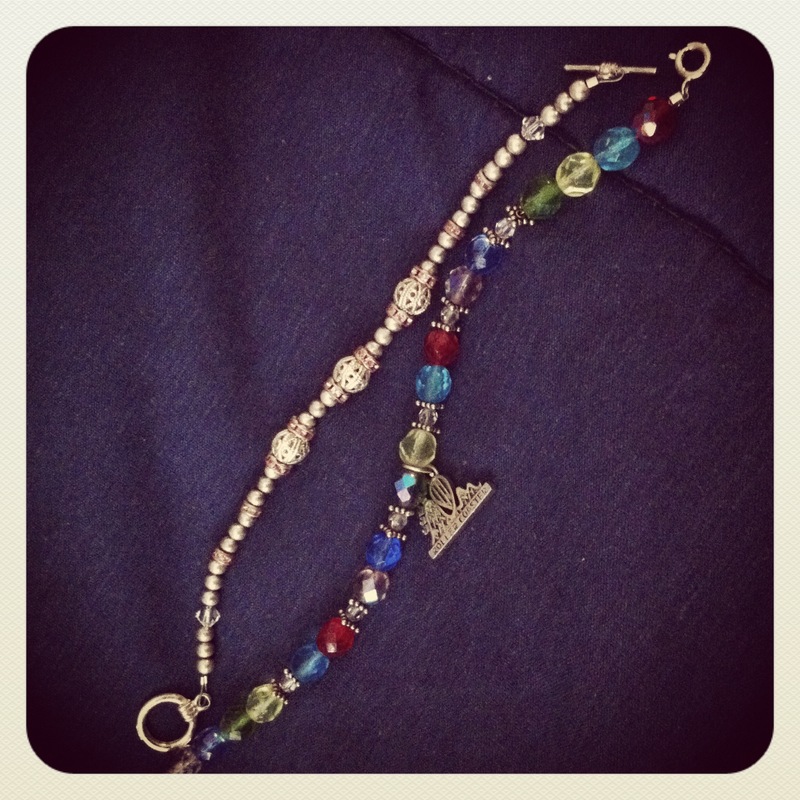 This entry was posted in Fashion, January Photo a day and tagged beads, Fashion, jewelry, Photo, photo a day by jackiestyle. Bookmark the permalink.